Iowa Group Heads to New Jersey to Persuade Christie to Run - The Blaze - New Jersey Gov. Chris Christie is still not running for president. A group of Iowa campaign contributors traveled to New Jersey to persuade the first-term Republican governor to change his mind and take on President Barack Obama in 2012. Christie, his wife and political advisers had the group of seven donors and activists over for dinner at the governor’s mansion in Princeton. According to several people who attended, Christie told Iowa energy company executive Bruce Rastetter — the force behind the meeting — that a run for the Oval Office is not something Christie and his family have begun contemplating. As a consolation, Christie did accept an invitation to speak at an education conference in July hosted in Iowa by Gov. Terry Branstad. Why Christie Won't Run for President - American Thinker - For all those rabid Gov. Chris Christie for president conservatives still holding out hope that their man will change his mind and get in the race, there are some very important facts regarding the honorable governor Christie that their presidential political crush may have caused them to overlook. (Listen up Ann Coulter) Back in January of this year, Gov. Christie appointed attorney Sohail Mohammed to a state Superior Court judgeship. On the surface, this judicial appointment by Gov. Christie doesn't seem like much of a story, except for the fact that Sohail Mohammed just happens to be an attorney who defended several Muslims shortly after 9/11 who had ties to terror organizations. 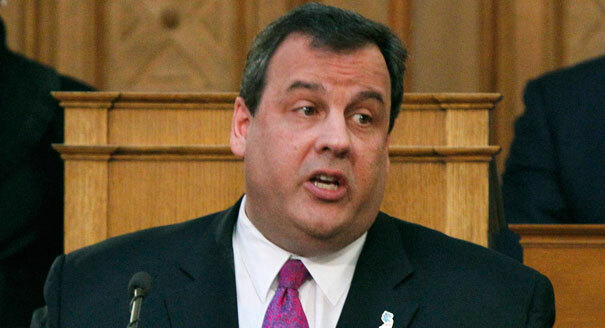 Read more........ AW: I like Chris Christie, find this article very troubling for him. Is there another side to this story, hope so?